Pair of exceptional large Italian armchairs. 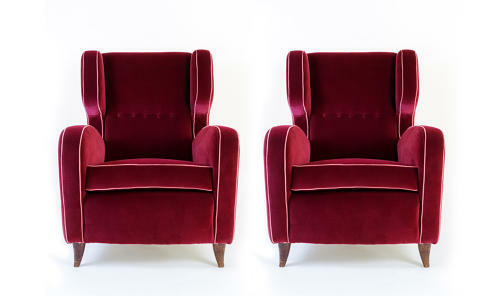 Upholstered in velvet with contrast piping. The seat measures 55 cm deep by 50 cm wide.